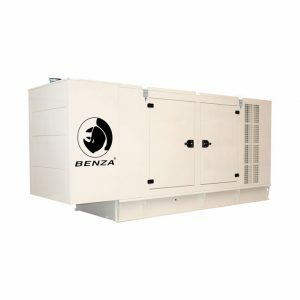 BENZA gensets for soundproof CANOPY or CONTAINER, as well for OPEN SKID, are defined for Emergency Service (ESP – Emergency Standby Power) and Continuous Service (PRP – Prime Power). 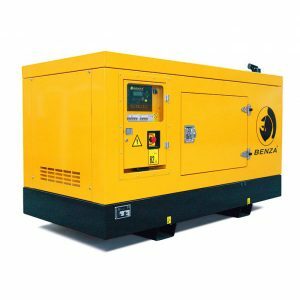 The engines are driven by a diesel engine DOOSAN brand, at 1.800 r.p.m, ISO 3046 built, radiator water cooled and coupled to a three phase alternator. MECHANICAL governor (optionally ELECTRONIC governor), electrical starting system with crank engine, charging alternator and lead acid batteries. BENZA gensets for soundproof CANOPY, as well for OPEN SKID, are defined for Emergency Service (ESP – Emergency Standby Power) and Continuous Service (PRP – Prime Power). The engines are driven by a diesel engine IVECO brand, at 1.800 r.p.m, ISO 3046 built, radiator water cooled and coupled to a three phase alternator. 4 pole alternator at 480V three phase or 240 V single phase at 1.800 r.p.m. and 60 Hz, celd-excited, brushless, single bearing, IP-23 protection electronically auto-regulated and class H isolation.